We're starting to learn how important gut bacteria are. Antibiotics can mess up the ecosystem in your gut. We have probiotics to try to restore the natural ecosystem. This is assuming that natural is good. But the natural gut bacteria are evolved to match our natural diet. Most of us don't eat a natural diet. 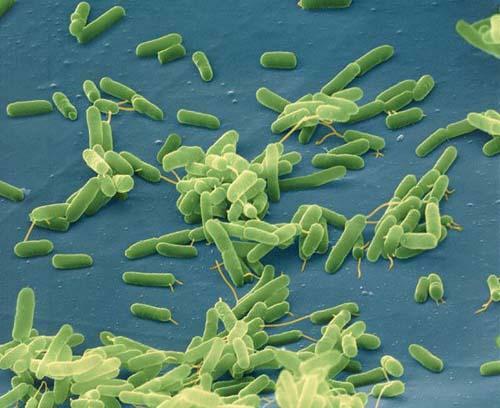 I want unnatural gut bacteria. We know cells can do amazing things. The cells in our body can turn fat and sugar into energy. Bacterial cells can do a far great variety of things, such as turning algae into oil, collecting gold atoms into gold veins, generate light, and process heavy metals. So let's design our own gut bacteria! I want to implant gut bacteria that turn chocolate cake into vitamins. I want gut bacteria to turn potato chips into omega 3. Most people are drawn towards unhealthy food. We keep telling them to stop eating it, and eat healthy food instead. What if we could instead turn all unhealthy food into healthy food? (Also see my previous post on this subject.) I think that's a world-changing technology waiting to happen.